Saturday, I got to take Alexander to the Magic Kingdom. 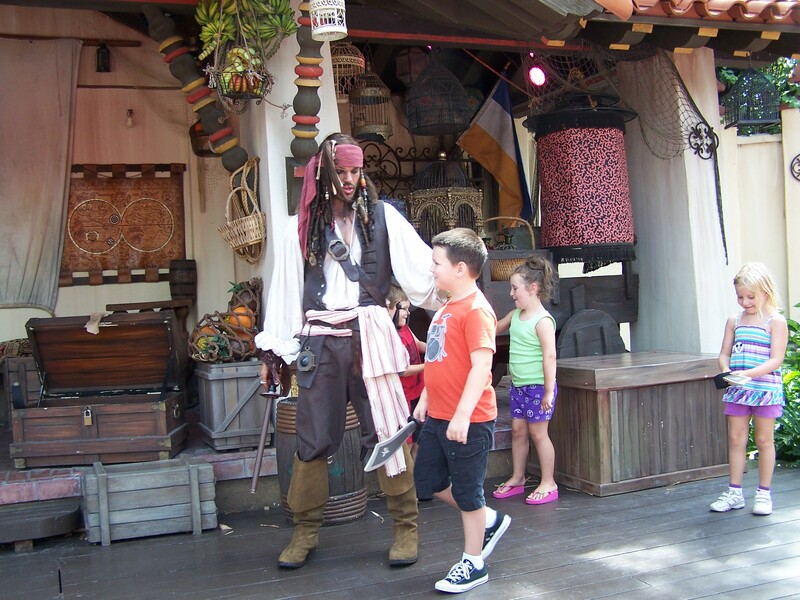 While we were there, Alexander was selected for the Jack Sparrow Pirate Tutorial. As far as cool factor, it’s probably not as fun as the Jedi Training Academy he got to do the week before, but it was pretty fun. 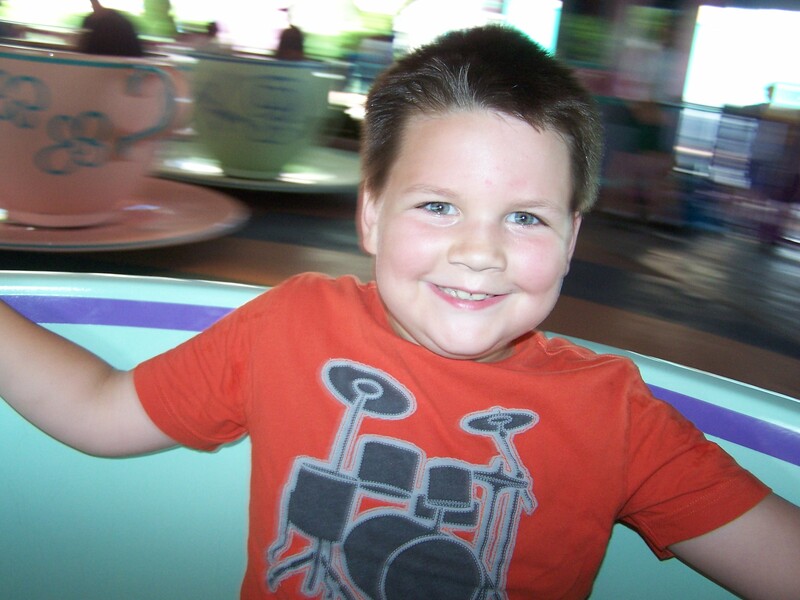 Before we went to Adventureland, we stopped off in Fantasyland to take a spin on the Mad Tea Party. Alexander used to hate it when I spun the teacup fast. Now he loves it. Here’s how the show goes: A pirate starts the show to warm up the audience before Jack Sparrow makes his appearance. 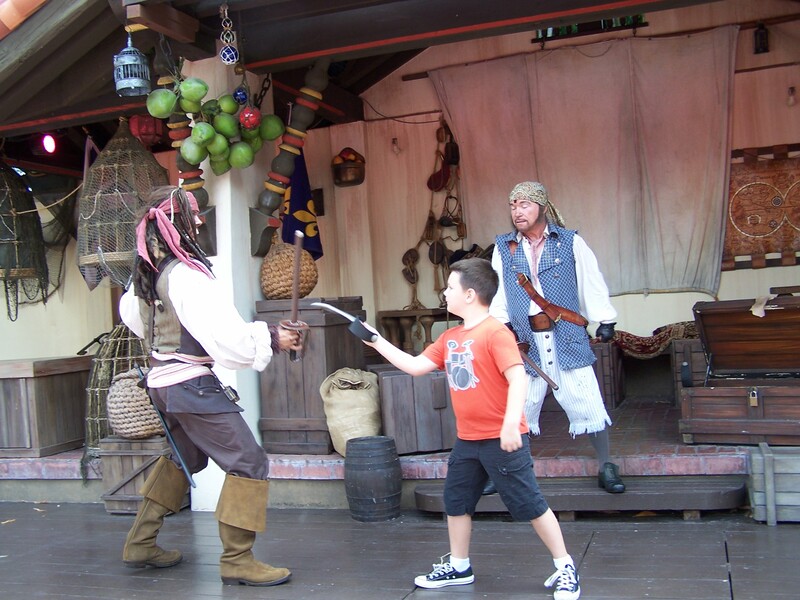 The concept is that Jack is looking for new crew mates, so he teaches them how to sword fight, how to distract your opponent and how to run away. All the pirates take an oath to the pirate code, the kids all get certificates pledging their allegiance to the captain, and then Jack and his buddy Mac lead everyone in a not-quite-rousing singalong of Yo Ho Yo Ho a Pirates Life For Me. 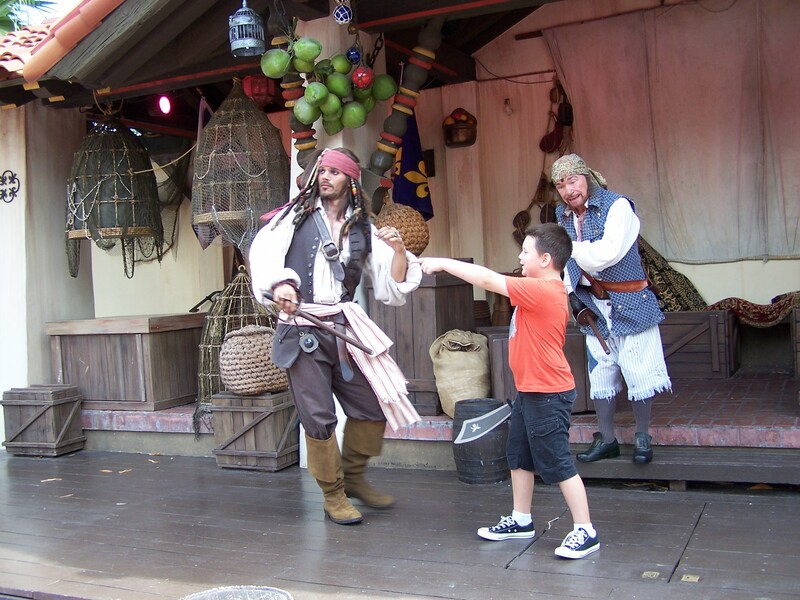 Is it bad parenting to allow your child to be escorted by a drunken pirate? Alexander crosses blades with Captain Jack. "Look! It's the governor's daughter!" It all goes on for a rather long time. But Alexander had fun, and it was another feather in his combat training cap – Jedi, pirate… I hope Norway at Epcot gets a Viking training camp, and Japan gets a ninja dojo.